Jonathon Van Maren says Politicians can't seem to state the facts as objective facts. 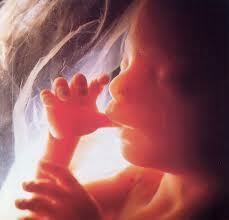 I just wonder why pro-lifers don't adopt human rights language with regard to the unborn child. While of course I find the act of abortion abhorrent, the goal of the pro-life movement should not only be to eradicate abortion. It should be to end discrimination against the unborn child. I find that labelling the issue "abortion" to a degree cedes rhetorical ground to feminists, because then they get to assert that banning abortion violates women's rights. And then the discussion shifts to whether killing and unborn child is a woman's right. I know it's hard to change the language because many of us enter the pro-life movement through a traditional framework. We've been handing down the idea that "abortion is murder" for decades. It's a message that, while the mainstream media hasn't adhered to it, that's what they've communicated we've been saying, and so new pro-lifers have ingrained in their mind that this is what our movement is about: ending murder. And of course it's about that. But it's more than that. It's about persuading everyone that the unborn child is a human being like everyone else, and thus deserves the same consideration as everyone else. This shift in language would be an advantage because it would reduce the perceived need to speak about abortion AS CHILD SLAUGHTER and abortionists and BABY BUTCHERS, which is very alienating to many people becauase it comes off as judgemental, moralistic and harsh. People find judging actions to be harsh, but upholding oppressed populations to be noble. I know this change of language would be slow in coming but it's necessary if we want to reach more people in a way that meshes with their way of thinking and their values.